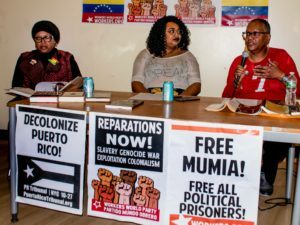 Al Nakba, the beginning of the barbaric Israeli occupation of Palestine in 1948, was commemorated in a number of cities in the U.S. Here are WW reports from Chicago and Houston. 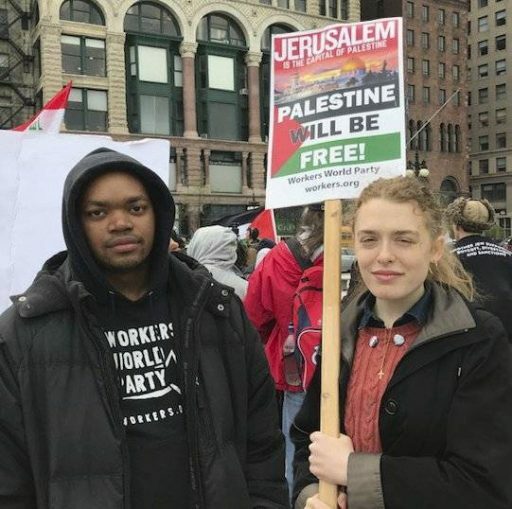 Several hundred people rallied in Chicago on May 11 to mark the 70th anniversary of the infamous Al Nakba, the brutal removal of some 800,000 Palestinians from their homeland by Zionist terrorists. 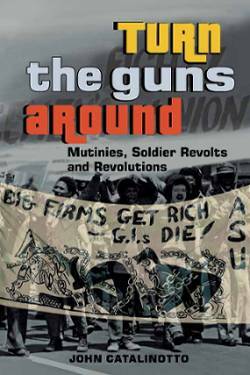 Speakers made clear that the struggle for Palestinian liberation continues. The Palestinians in Gaza have inspired the world with their courageous protests demanding the full “right of return” to their original homes and lands. The Palestinians of the West Bank continue to resist Israeli occupation. And the Palestinians of Jerusalem refuse to abandon their city, their holy sites and their capital. The protesters then marched through rush-hour traffic to the Israeli Consulate, drawing many expressions of support from pedestrians and drivers. 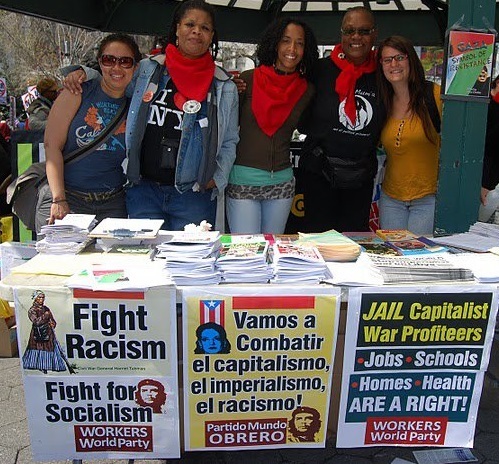 Today’s action was organized by the Chicago Coalition for Justice in Palestine. Khamil Khan speaking in Houston. 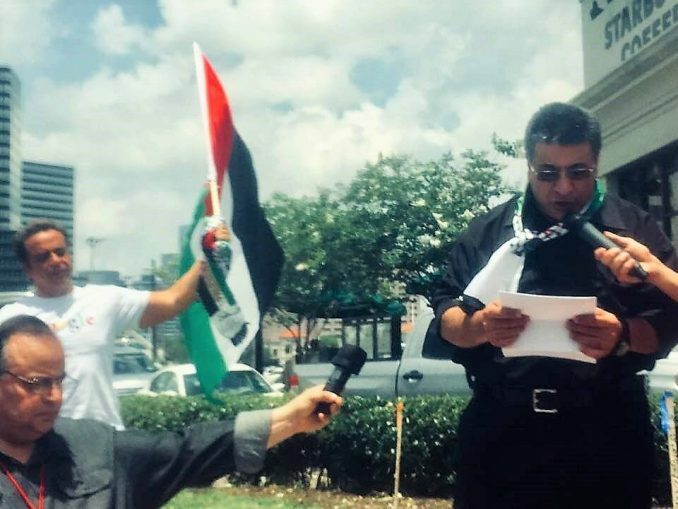 The energy from the University of Houston’s Students for Justice in Palestine was contagious on May 12 as they chanted and spoke for three hours at one of the busiest intersections in Houston in remembrance of the 70th anniversary of the Nabka, the day when Israel began its ethnic cleansing of Palestine. The demands for the day included the right of return for ALL Palestinian refugees and their descendants; that Israel keep its hands off Jerusalem, the capital of Palestine; the end of the 11-year blockade of Gaza; freedom for all political prisoners; and an end to Israeli colonization of ALL land in historic Palestine. The Houston protest was part of Texas-wide actions for Palestine.